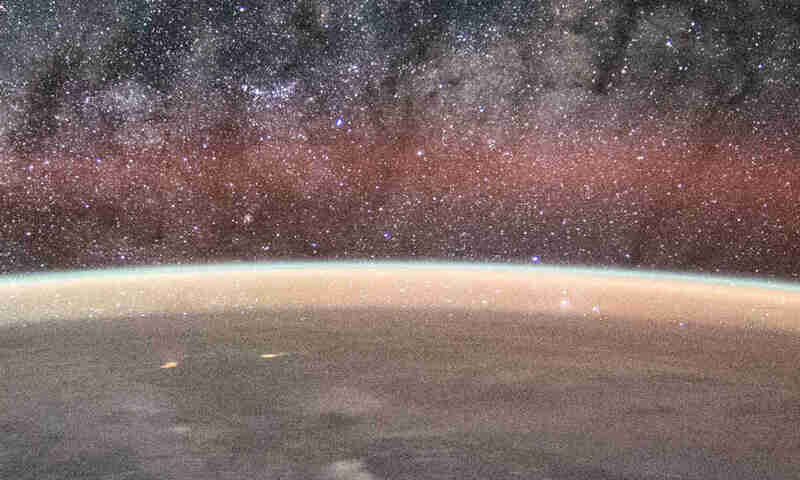 Gravity causes water to seek the lowest potential, which can be simplified as the position as close as possible to the Earth’s center of gravity. 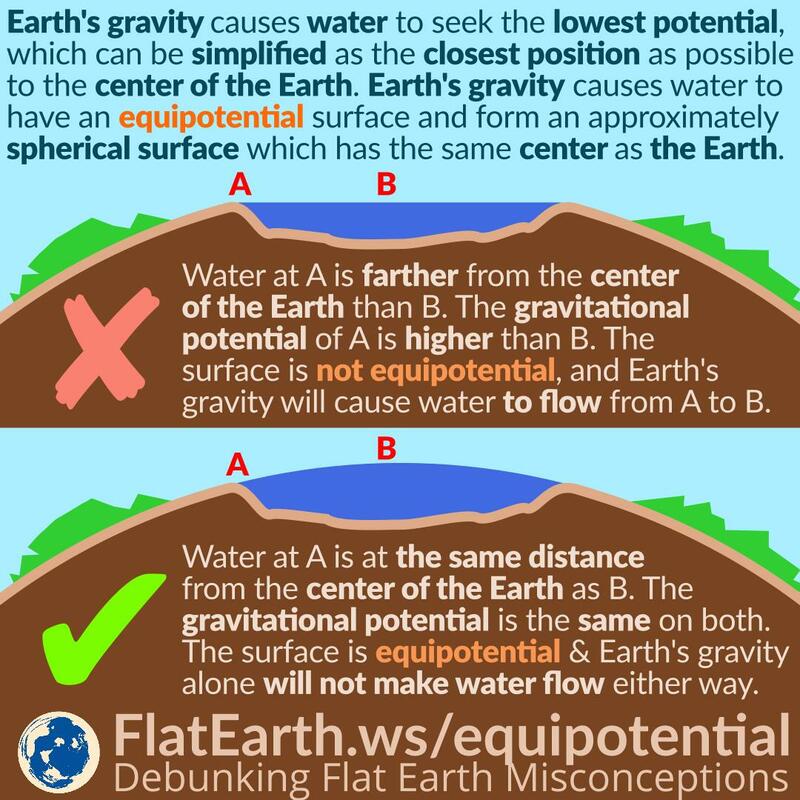 As a result, the surface of the water will have equipotential surface and form an approximately spherical surface which has the same center as the Earth. Every location along the surface has the same potential. Flat-Earthers insist that water is always flat because that’s what they observe every day. They would conclude water surface is always flat no matter how wide the container is. Taking such a conclusion is a gross and excessive extrapolation. In reality, it is the other way around: water forms a spherical surface that has the same center as the Earth. But in a small enough quantity, it can be approximated that the surface is practically flat. The curvature is undoubtedly there, but very tiny and insignificant. In a geographically wide surface —like a sea or an ocean— the approximation is no longer applicable. A perfectly flat water surface is not equipotential, and it will never be at rest. It will flow until its surface forms a curvature that has the same center as the Earth. The surface of water is equipotential: it is level, but not perfectly flat.